The Section for Fish Diseases is the European Union Reference Laboratory for Fish Diseases and the OIE Reference Laboratory for Viral Hemorrhagic Septicemia (VHS) and is leading within research and diagnostics on viral diseases in fish. The section also covers bacterial diseases and to some extends parasitology as well as pathology. Also a significant research on immunology and vaccinology in fish and prevention of fish diseases is being performed at the section. DTU Vet carries out basic and applied research aiming to control and prevent infectious animal diseases, including exotic an endemic fish diseases like e.g. viral haemorrhagic septicaemia (VHS), infectious haematopoietic necrosis (IHN), infectious pancreatic necrosis (IPN), bacterial kidney disease (BKD) and flavobacteriosis (RTFS). DTU Vet, Section for Fish Diseases offers access to carry out in-vivo fish trials (fish < ½ kg) with infectious pathogens in various infection models e.g. IP injection, bath challenge and co-habitation. Up to 1.000-2.000 fish can be included in a trial depending on fish size and necessity for scientific documentation. Although trials can be performed on several fish species rainbow trout is the only one readily available, other fish species should be arranged on beforehand. The trials can be conducted at various conditions such as tank types, fresh- and saltwater and at various temperatures. The access will include the use of tanks including maintenance, water supply, daily feeding and husbandry, manipulation and sampling of fish, access to dry laboratory facilities and other technical and scientific infrastructural support including access to cell culture facilities, pathogen isolation and identification by immunochemical and molecular techniques, histopathology, and basic bacteriology. The duration of the experimental period is planned for 3-4 weeks but may extended for a total of 4-8 weeks. Background knowledge in sheep immunology, sheep infectious disease, immune mechanism or livestock immunogenetics research is required. Proprietary research (research where results are not generally available to the public or only made available under confidentiality arrangements) cannot be supported. Travel and subsistence expenses linked to the access will be reimbursed upon approval of the report. Reimbursements will be done according to administrative rules of each hosting organisation. Staff members from Lindholm who are scientifically involved in the project will contribute to the preparation of publications and maintain a role as co-authors. All experimental animal infection procedures are undertaken in accordance with the requirements of the Danish Animal Experiments Inspectorate. 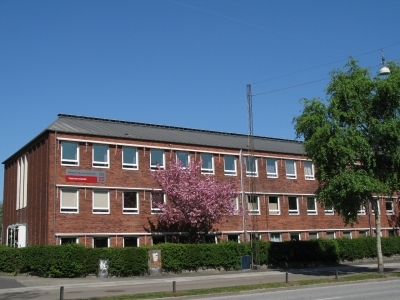 Dale O.B., Ørpetveit I., Lyngstad T.M., Kahns S., Skall H.F., Olesen N.J. & Dannevig B.H. (2009) Outbreak of viral haemorrhagic septicaemia (VHS) in seawater-farmed rainbow trout in Norway caused by VHS virus Genotype III. Diseases of Aquatic Organisms 85, 93-103. Fregeneda-Grandes J.M., Skall H.F. & Olesen N.J. (2009) Antibody response of rainbow trout with single or double infections involving viral haemorrhagic septicaemia virus and infectious haematopoietic necrosis virus. Diseases of Aquatic Organisms 83, 23-29. Henryon M., Jokumsen A., Berg P., Lund I., Pedersen P.B., Olesen N.J. & Slierendrecht W.J. (2002b) Genetic variation for growth rate, feed conversion efficiency, and disease resistance exists within a farmed population of rainbow trout. Aquaculture 209, 59-76. LaPatra S.E., Corbeil S., Jones G.R., Shewmaker W.D., Lorenzen N., Anderson E.D. & Kurath G. (2001) Protection of rainbow trout against infectious hematopoietic necrosis virus four days after specific or semi-specific DNA vaccination. Vaccine 19, 4011-4019. Lorenzen E., Einer-Jensen K., Martinussen T., LaPatra S.E. & Lorenzen N. (2000) DNA vaccination of rainbow trout against viral hemorrhagic septicemia virus: A dose-response and time-course study. Journal of Aquatic Animal Health 12, 167-180. Lorenzen N., Lorenzen E. & Einer-Jensen K. (2001) Immunity to viral haemorrhagic septicaemia (VHS) following DNA vaccination of rainbow trout at an early life-stage. Fish and Shellfish Immunology 11, 585-591. Lorenzen N., Lorenzen E., Einer-Jensen K., Heppell J. & Davis H.L. (1999) Genetic vaccination of rainbow trout against viral haemorrhagic septicaemia virus: small amounts of plasmid DNA protect against a heterologous serotype. Virus Research 63, 19-25. Lorenzen N., Lorenzen E., Einer-Jensen K. & LaPatra S.E. (2002a) DNA vaccines as a tool for analysing the protective immune response against rhabdoviruses in rainbow trout. Fish and Shellfish Immunology 12, 439-453. Lorenzen N., Lorenzen E., Einer-Jensen K. & LaPatra S.E. (2002b) Immunity induced shortly after DNA vaccination of rainbow trout against rhabdoviruses protects against heterologous virus but not against bacterial pathogens. Developmental and Comparative Immunology 26, 173-179. Raja-Halli M., Vehmas T.K., Rimaila-Parnanen E., Sainmaa S., Skall H.F., Olesen N.J. & Tapiovaara H. (2006) Viral haemorrhagic septicaemia (VHS) outbreaks in Finnish rainbow trout farms. Diseases of Aquatic Organisms 72, 201-211. Skall H.F., Kjær T.E. & Olesen N.J. (2004) Investigation of wild caught whitefish, Coregonus lavaretus (L.), for infection with viral haemorrhagic septicaemia virus (VHSV) and experimental challenge of whitefish with VHSV. Journal of Fish Diseases 27, 401-408. Skall H.F., Slierendrecht W.J., King J.A. & Olesen N.J. (2004) Experimental infection of rainbow trout Oncorhynchus mykiss with viral haemorrhagic septicaemia virus isolates from European marine and farmed fishes. Diseases of Aquatic Organisms 58, 99-110. Slierendrecht W.J., Olesen N.J., Juul-Madsen H.R., Lorenzen N., Henryon M., Berg P., Sondergaard J. & Koch C. (2001) Rainbow trout offspring with different resistance to viral haemorrhagic septicaemia. Fish and Shellfish Immunology 11, 155-167.